Adolescence can be the best of times or the worst of times, but it is always a pivotal time in a young person's life. YOUTH FOR CHRIST is a positive influence both on and off middle school and high school campuses. 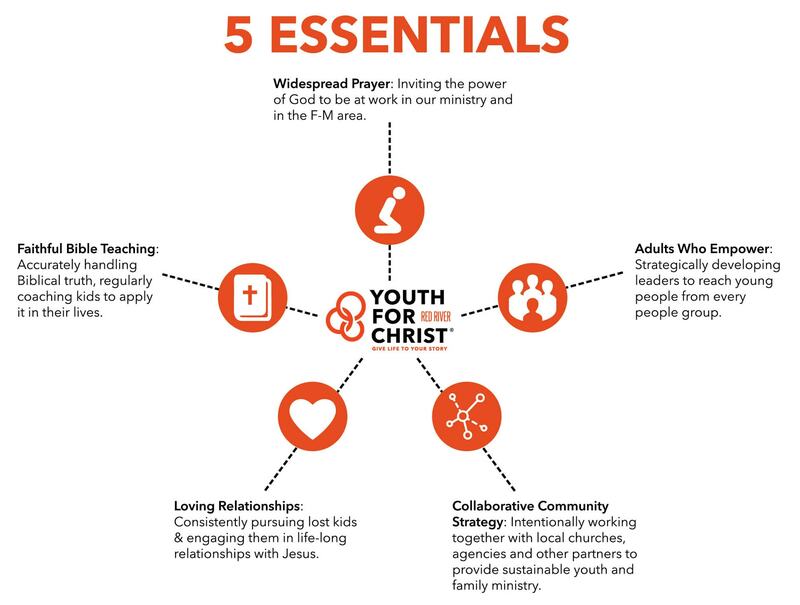 YOUTH FOR CHRIST provides a safe and friendly place to learn leadership skills, to think about important issues and to develop quality relationships with peers and with caring adults. Students have questions…lots of them. YFC brings a reasonable explanation to students’ questions from a biblical perspective. God has spoken, the Bible is reliable, and students need to hear from someone who cares for them. YFC is about relationships. As we build relationships with students, we seek to discover their life-story, live out and share our story and look for ways to connect them to God’s story. YFC is a team player, partnering with non-profits, businesses, churches and government agencies on behalf of young people. It is open to all 6th through 12th graders regardless of race, gender, religion or economic background.